On September 22nd, 1966, Mostafa Ahmed Mohamed Hassan Amar, AKA Mostafa Amar was born. He lived a normal childhood and then it was time for the young Mostafa to go to school. The first stop in his education was Al-Shaheed Abbas School in Al-Ibrahimia district. His talent and love for music and singing first saw the light when his music teacher chose him as the lead singer in the school concert. When he was ten, his father got him the only birthday present he had ever wanted; a guitar! Every summer he would attend classes, organized by the Conservatoire, to learn how to master the guitar. 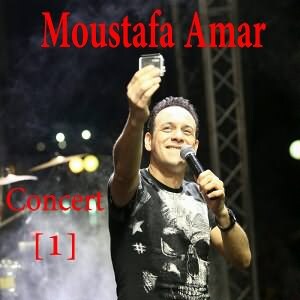 Even when he enrolled in the Faculty of Commerce, University of Alexandria later on, Mostafa didnt give up his love for music and remained a student in the summer music classes. Then, came the difficult stage of moving from his beloved Alexandria to Cairo to find a production company that would back his talent. When he finally signed up with a major company, making his first album was far from easy so he released his first song Wala Yabou Khad Gameel in a collective album with other talented singers. It was not until 1990 though, that the album Wassaf hit the markets. But the album was definitely worth it; it made Mostafa into a star and proved that he had what it takes to reach stardom. It was then that Mostafa decided to shoot his song Dabadebou as a video clip and once it was aired, it was popular in no time! At the end of 1992 and beginning of 1993, the young singer released his second album Layaleki. The album achieved huge sales and pushed the singer further ahead. Mostafa always tried to present different things and thus after a while, he teamed up with famous actress Nelly and sang and shot the duet Papa Noel. More problems arouse but once they were all solved, Amars third album Seket Al-Asheen saw the light and dazzled his fans. His fourth album Eftekerney was no different than the previous three when it came to success and popularity. It was then that Mostafa decided to gather five of his very first songs that were dear to his heart, in an album called Ela Man Yehomo Al-Amr. Amars next albums; Tal Al-Leil, Nar El-Hob and Enaek Wahshaney, were released after that. The next step for Amar was the duet Ghazali with famous composer/singer Hamid El-Shaeri. The clip and song were unique and popular among the fans.